Title 9K Boulder: What’s Your Inspirational Story? It’s no secret that at our events, we do things differently. At our upcoming 2015 Title 9K+ Boulder, the top three fastest women across the line, the fastest mom with stroller, and the first girl and boy under 18 will receive prize bags filled with great items contributed by our vendors. It’s not just our two dedicated stroller divisions that make our events different: the three best inspirational stories will also receive awards. 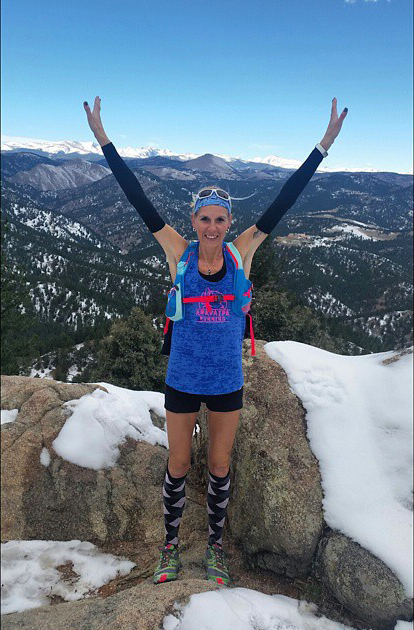 A Boulder ultrarunner, Jenn (above) had the unthinkable happen during a training run, an experience which she shared with the world via Zelle. Her experience this past summer will certainly make crossing the finish line with her four kids this year on Mother’s Day – a day that she did not necessarily think she would live to see – even more memorable. We invited Jenn to celebrate her Mother’s Day with us at the Title 9K+ this year, and in turn, she asked to share a few words with you all on race day. We’re sharing what she had to say in advance, and how to share an inspirational story of your own with us. Our Title 9Ks are different – and we like it that way. There are no traditional age groupings, but there is an all-chocolate aid station. We celebrate the walking new mom pushing a baby jogger over the line for the first time with the same fanfare as she who breaks the finish line tape. The backs of our race tees aren’t billboards, and our reusable goodie bags are filled with just that: goodies. Local to T9HQ and our oldest Title 9K event supporter, LUNA is proud to now boast a completely gluten-free line. We would also like to thank Honey Stinger for not only putting their beloved waffles in our goodie bags, but also for providing snacks for the finishers of our Ragamuffin Run, our free pre-race event for kids 2 to 8. We are also proud to partner with Eco-Cycle annually, and thank them for helping us reduce our footprint and keeping our Title 9K Boulder a zero-waste event! The team of Title 9K Boulder would also like to thank the good folks of the Boulder Reservoir, our many tireless volunteers, The Cup for caffeinating those hard-working volunteers, and Bobo’s Oat Bars for making sure they’re well fueled for all the cheering. For complete details on all of our vendors and contributors and what they’ll be bringing to Title 9K Boulder, please click here. There is still time left to join us on May 10th! 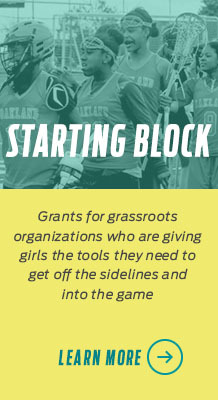 For information on becoming a volunteer, please click here. For more information about the 13th annual Title 9K Boulder and to register, please click here. 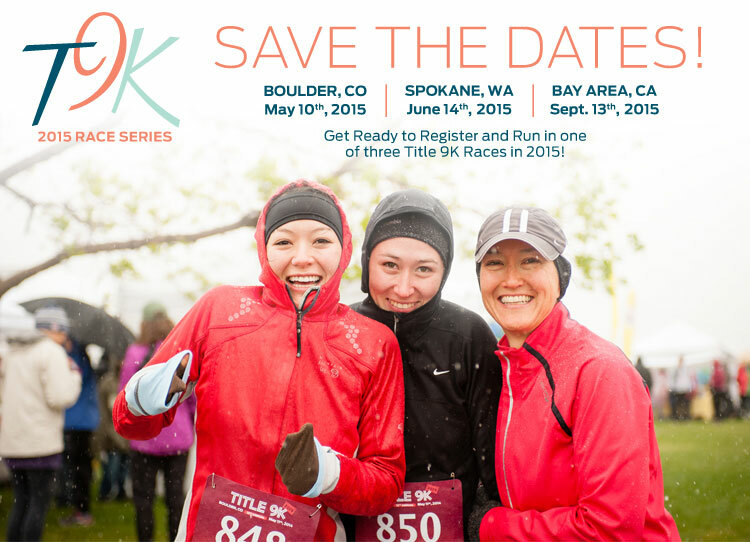 Save the Dates: 2015 Title 9K Events are Coming! For the last 13 years, it has been our honor to put on Title 9Ks. Our events are different, and we like it that way! Over time, our run series has grown a fan base, visited different cities and become one of the only run events to continually celebrate dedicated stroller divisions. This year, it is with great excitement that we announce we have added even more fun to our series. 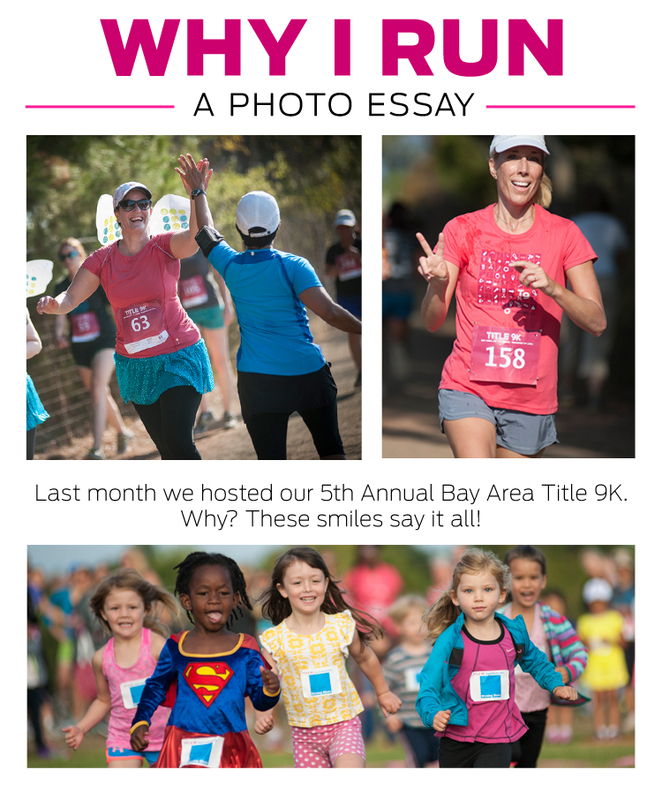 Did you capture your own “Why I Run” moment at this year’s race? Share your pictures with us below! For event photos, please click here. For photo booth photos, please click here. Special thanks to course photographer Anthony Dimaano for his contributions. In 2003, when the inaugural Title 9K starting gun rang out in the clear blue Boulder sky, we did not yet know what sort of evolution was to take place. We did not know that first Mother’s Day would spawn a run series that would grace lives in different cities, or that it would become such a big part of who we are as a company. While our races have grown over time, the root of why of we Title 9K has always remained the same. WHAT IS THE TITLE 9K? Fun runs with colored dust or costume themes did not yet grace every weekend as a commonplace affair when the our run series was born. The Title 9K was created as a celebration of women and girls in sport, a pavement party in honor of active living. We wanted to have an event that welcomed women of every pace, one that celebrated the new mother walking with her baby jogger with as grand a cheer as the gal who broke the finish line tape. OUR RACE IS DIFFERENT – AND WE LIKE IT THAT WAY. 9K distance: At not 5K or 10K but 9K long, our events are an automatic personal best for the more competitive runner, or a great challenge for she who is making the move to get off the couch and over the finish line. A place for every pace: The minimum pace to keep in order to finish is around 35 minutes per mile (or about 26 minutes per kilometer.) This means that even most recreational walkers can enjoy the entirety of our event. Stroller divisions: Roll on, mother runner! You and your single, double or even triple-wide baby jogger are welcome. (Yes, we’ve seen them out there!) All Title 9Ks offer two categories just for baby joggers, one each for walkers and runners. the Ragamuffin Run: Why not get the kids in on the action too? Our free pre-race Ragamuffin Run offers kids a chance to take part in the action! Three divisions with age-appropriate distances are offered: the Rumbling Reds (ages 2-3,) Blazing Blues (ages 4-5,) and Yahoo Yellows (ages 6-8). Prize divisions: While every finisher comes away with a finisher’s prize, we offer four big main prizes for our events. The first woman, girl under 18, and baby jogger runner over the finish line each receive a great prize bundle. Speed isn’t the only way to win at the Title 9K: the fourth prize bundle is awarded to the winner of ‘most inspirational story,’ written on why they run. Race expo and goodie bag: The back of every Title 9K race tee is not a billboard, and there is no entry fee for our expo. Expo vendors offer up educational information, free samples and schwag. Our reusable goodie bags, popular at T9HQ as lunch totes, are stuffed with snacks and other goodies contributed by vendors with a local focus. No paper coupons or flyers here – just the good stuff, like samples of our favorite sunscreens, run fuels, snacks and the like. Picture proof: All course photographs are posted after the race free of charge, and every race expo features a backdrop, complete with photo booth props, so participants can take a Title Nine catalog cover photo. Ultimately, the Title 9K is about celebrating the participants: YOU! Of course, we also have a lot of fun, too. Plus, who could say no to some of the greatest fans and cheerleaders out there? The question now: when are you joining us? Why do YOU Title 9K? Share with us below! Ready to run? Register now and get training with our 9 Weeks Till T9K training plan! View additional photos from past Title 9K events here.